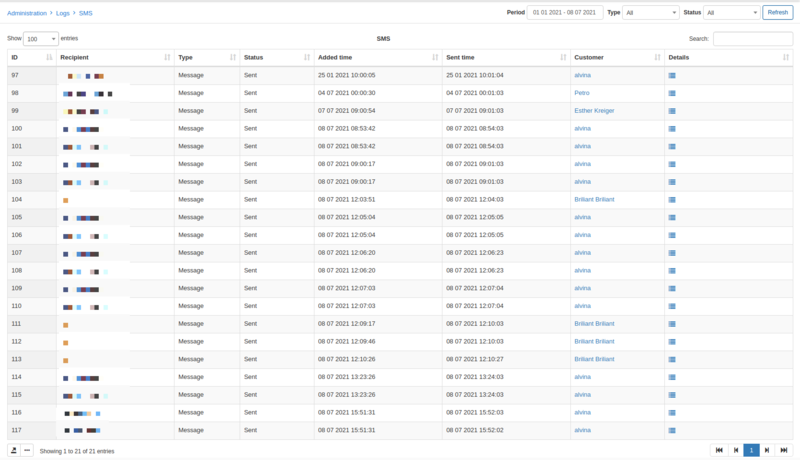 SMS logs' table shows a list of SMS messages has been sent for a some period of time. It contains information about customer's ID, phone number of the recipient, type of the message, its status (new, sending, sent, error, expired), added time and sent time, and details. There is a filter at the top-right corner of the screen can be set to choose particular emails. You can choose to display SMS messages by specific Period of time, Type of message (for example, Message, Test, Add-on, Monitoring etc.) and Status (New, Sending, Sent, Error, Expired). 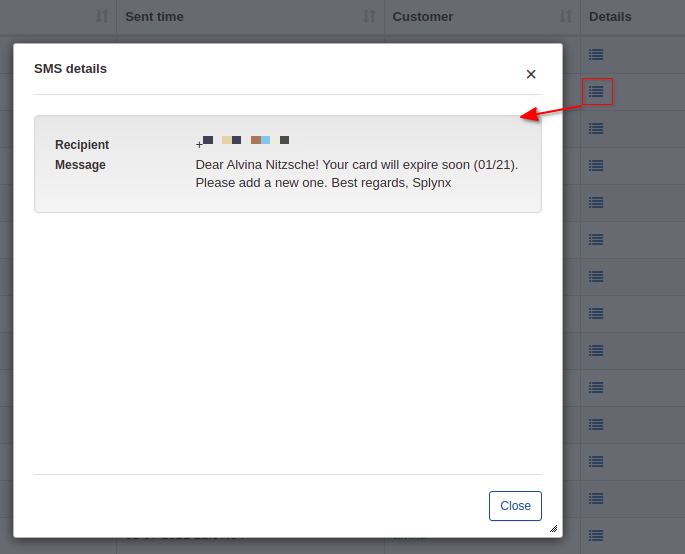 You can view the message by clicking on icon in Details column.